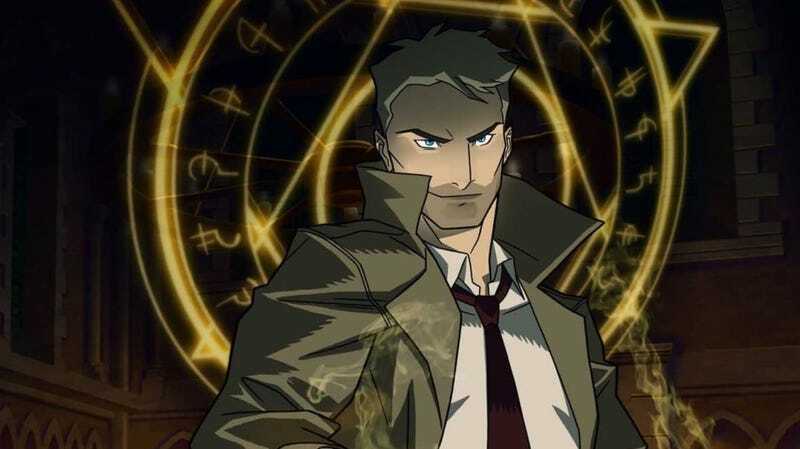 The CW has announced that it’s picked up NBC’s canceled superhero series Constantine for an animated revival on its digital network, with Matt Ryan set to return as the title character. Constantine, based on the DC Hellblazer comic, was sadly dropped after one season on NBC. The show struggled to find its voice—even if they’d cast a near-perfect John Constantine in Ryan, who’s often talked about how much he adores the character. Ryan has since gone on to guest as Constantine on an episode of Arrow, and voiced the character in the Justice League Dark movie. Now, he’s getting an animated series of his very own on CW Seed—and his animated counterpart looks damn fine. Deadline reports at least five 10-minute episodes have been ordered for CW Seed so far. Constantine will join Vixen, whose title character has made appearances on Arrow and DC’s Legends of Tomorrow, albeit by different actresses. Could this mean more appearances from John Constantine in other CW shows? Fingers crossed.